During the month of June in 2010 five bat boxes were installed in McDougall Park which is in South Perth, Western Australia. Well, great news, five months later a bat has found box number 4 mounted on a Lemon Scented gum tree. By looking at the amount of guano(droppings) it appears that it hasn’t been there too long. Probably only a week or two. A council bush crew worker was with me at the time of inspection and we were so excited that a grandmother and two young children came over and asked us what is the excitement all about. I asked her would she and the kids like to see a micro bat. Of course they would be delighted. So, up I climbed on a ladder to the bat box and carefully removed the bat from it’s home. He was feisty. Snapping and snarling at me. He thought he was going to become someone’s takeaway. I gave the visitors a quick look and put him back into his new home. Once one bat has found a home, he will fly back and tell his mates. Then, the word will get out…. Help the scientists monitor climate change. Listen for the calls of the White Striped Mastif bat. The listening program starts on the 23rd October 2010. They say that by studying where this bat is located will give us an idea of what is happening with our weather. At Bibra Lake on Saturday 21st August we’re going to introduce you to one of our most gorgeous Australian creatures, the Gould’s Wattled bat. Forget about trying to see one flying high in the sky. They only come out at night when we’re asleep in our nice warm beds. Here’s a chance to see one live and real close. Learn all about micro bats and what interesting habits they have. After the presentation join us for a walk through the “Bat Forest”, where during the day they hide in the boxes that a local community group built. 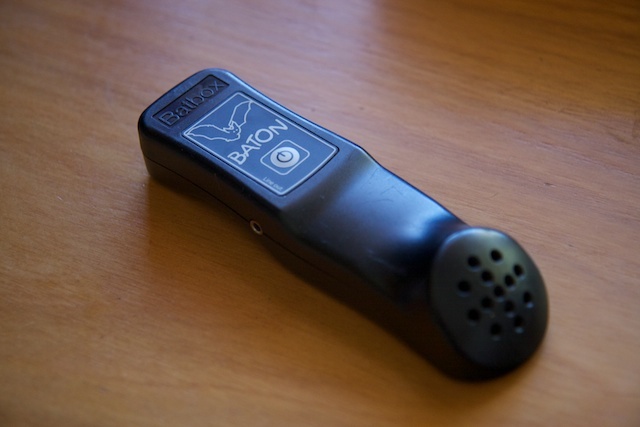 We’ve developed a special “Bat-cam” which is a infrared camera on the end of a telescopic pole. By gently pushing the camera through a hole at the bottom of the boxes we can spy on and count how many bats are there. One lucky person will win a magnificent custom built bat box to take home with them. Guaranteed to be a entertaining and informative session. 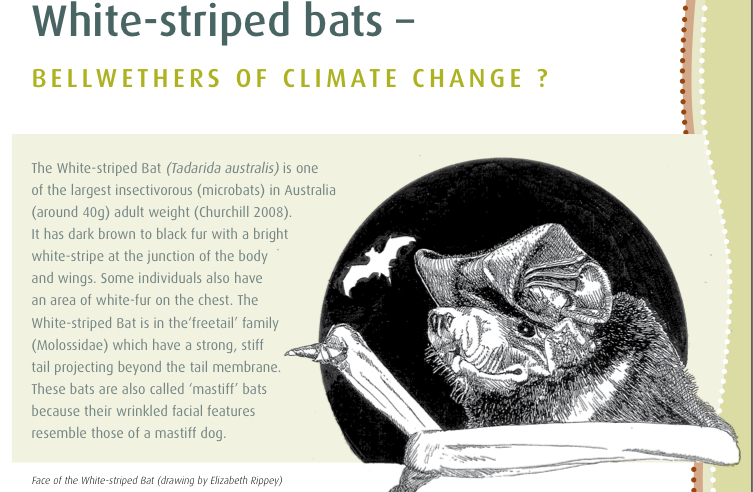 Check out the link below for a really fun and interesting article on micro bats. This was written by Daniella Brigida from the National Wildlife Federation in America. 7 Reasons Bats are Just as Cool as Batman. At a local golf course a bird box was installed on a tree. Unfortunately, about 18 months later this tree had to be removed to make way for a building. 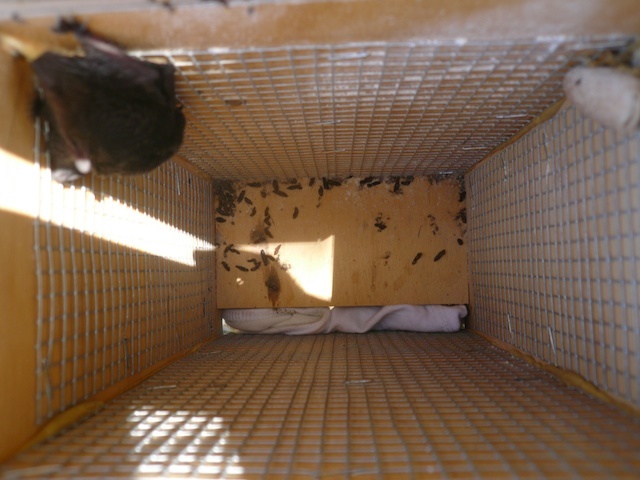 The box was taken down and surprise, surprise, micro bats were found in residence. Check out the video.